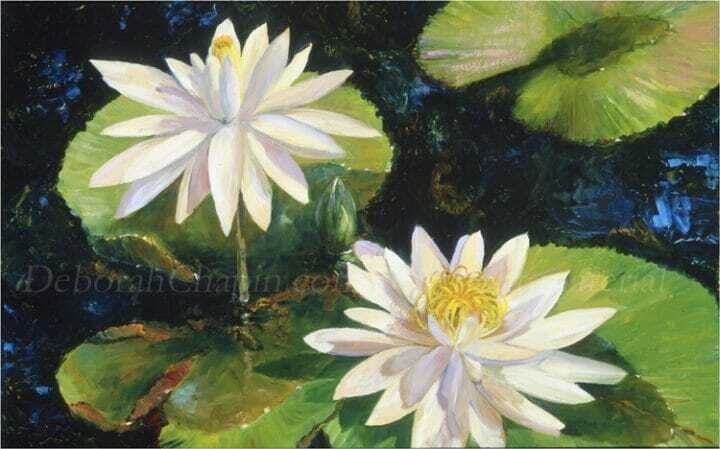 White Iris After the Rain, Floral Art, The original painting is available, was painted on a prepared background after a rain. Large bearded white iris weighted down with rain. Having been tossed about from the storm, continues to bloom and produce flowers on the weather worn stalks bent and twisted. Contact Us About This Piece please include the title in your subject line. 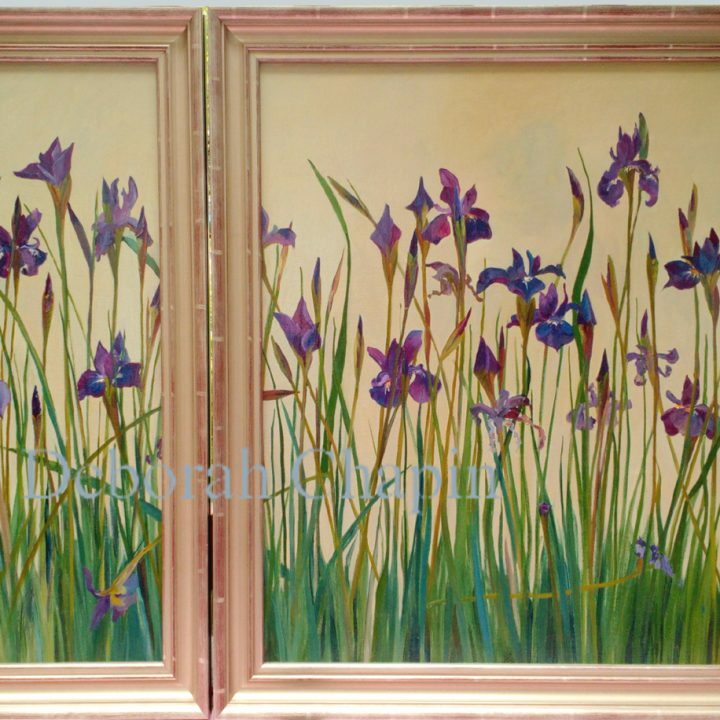 Tags: floral art, floral artwork, floral canvas prints, floral paintings on canvas, flower paintings on canvas, flowers painted on canvas, image of floral artwork, iris paintings, white iris, white iris. 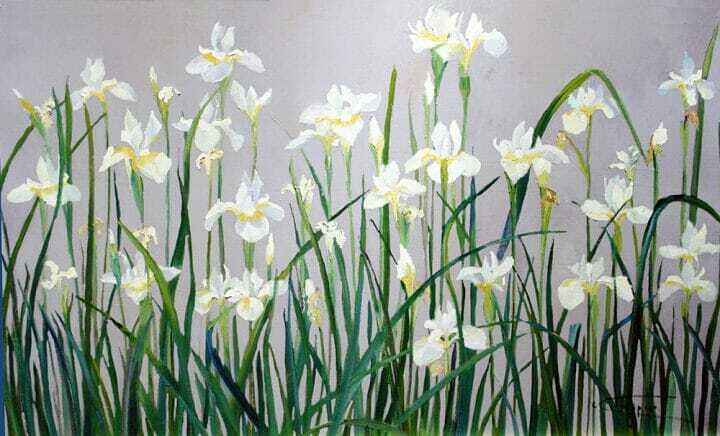 flower paintings on canvas, white irises. 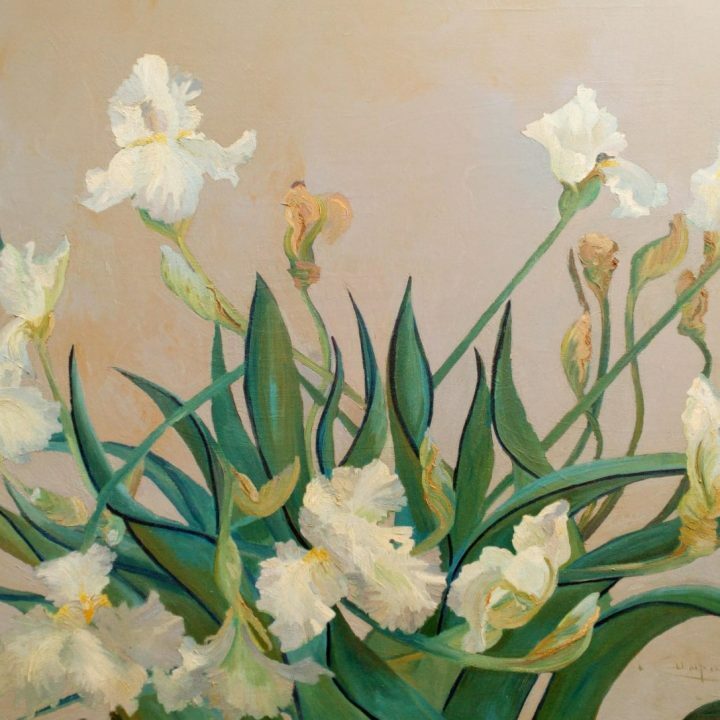 White Irises after the Rain are part of my Floral Art comprises a good body of work although my primary subject is the sea, I delved into the florals each year to warm up my brushes as the season began. After painting solidly through the spring blooming I was then up to speed for the marines. 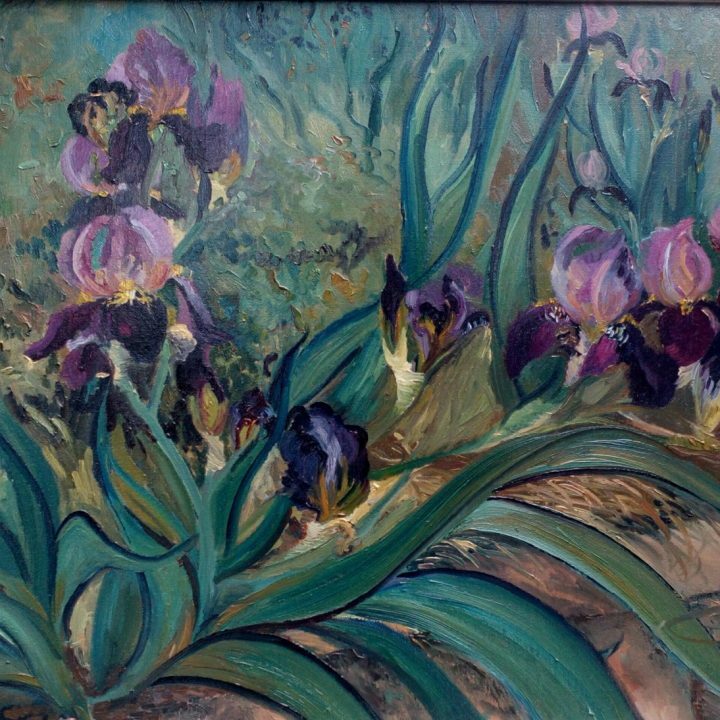 This White Iris Painting from my garden is painted on a matte background underpainting, I have done a number of pieces like this, the original is a 30×40 oil is available for sale, painted on linen canvas stretched over heavy duty stretcher bars . Made to order giclees are printed on demand with the highest quality materials by the artist. Deborah wanted to keep control of her quality of materials and the reproduction of truly beautiful colors. Deborah is a long time professional artist who has lectured at the Smithsonian American Art Museum on color and plein air painting and has exhibited her works in museums worldwide.